What exactly are index fund and how does it work? what are the most popular types of and which benefits you can get by investing in an index fund? Investing in index funds could be a good idea for any investor. Before you take on this adventure, it’s good to know what an index is so that you can understand index funds and how they work, what their benefits and drawbacks are. In this article, you will find out more about this investment opportunity. If you want to understand index funds, first you need to know what an index is. They are not investments themselves like stocks, gold or petrol. It’s more like a concept. These indexes are groups of assets that represent a particular section of the market (bonds, stocks, industry, etc.) and track the performance in order to evaluate the whole sector. Therefore, an index fund is a type of mutual fund that follows and tracks the results of a market index. They “mimic” the performance of an index, and are investment tools. The first one tracks 30 blue-chip stocks listed on the New York Stock Exchange (NYSE) and the NASDAQ. The second index monitors and tracks the performance of 4,000 stocks on the NASDAQ National Market. Logically, S&P 500 follows the performance of 500 stocks and is the investors primarily use. Other examples: The Russel 2000 (it tracks small-cap stocks), the Russel 3000, the Wilshire 5000, The Barclays Capital Aggregate Bond Index, which is a bond index. Index funds can be either structured as mutual funds or exchange-traded funds. Mutual funds are pools of investor’s money which are used by professional management (the funds) to buy assets. Exchange-traded funds just like mutual funds are a “basket” of funds but they differ in the way they trade. Unlike other mutual funds whose managers actively invest in assets, index funds are rather passive investment tools. They do not try to beat the index but “mimic” the performance of this index. An index fund Z follows the performance of the S&P 500. The managers of the fund will not try to find the best stocks out there but rather replicate the performance of the S&P 500. The fund will include only assets of the respective index in the portfolio. Nevertheless, the type of stocks is not the only important thing. The management of the fund should decide how many shares per company to buy and invest in. Because they will try to match the percentage of “weighting” of the respective index. An index that “weighs” and gives a larger percentage to stocks with a higher market capitalization is called market cap indexes. For example, S&P 500. So, the larger percentage a company has, the more stock of that company the fund will purchase. Index funds are some of the most accessible investments. 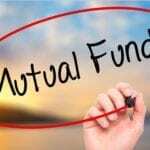 If you know which indexes are good and which are bad, then you can find the best mutual fund to invest your money. The cool thing is they give you the chance to invest in a whole segment of the economy without having to pay a lot or spend time. As I said earlier in the article, these types of funds are managed passively. The person who is in charge of the management will invest only in assets that are represented in the respective index. The purpose is to reflect the index as much as possible. That minimizes the risk of bad decisions by the fund’s manager. The passive management keeps the turnover low which helps minimize taxes on investments. Nevertheless, you will have to pay taxes on capital gains and dividends if you keep them in a taxable account. This is one of the most important benefits. Indexes track a wide range of assets representing a segment of the market. 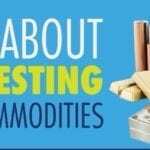 Therefore, participating in an index fund you can expect to have a broad diversification. Usually, index funds invest in hundreds or thousands of holdings. In comparison, other mutual funds invest in 50 or even fewer. This broader exposure mitigates the risks related to investing just one poorly performing sector. The more you have in your portfolio, the less the risk. Even though there are different types of index funds depending on the fund company, index funds are generally cheaper. Since they are passively managed, costs and fees are lower than the other types of mutual funds. You should be careful when picking the right index fund since the fees and charges associated with them can vary. Some boast an expense ratio of 0.16% (which is basically nothing). Others, on the other hand, can skin you with 1.5o% expense ratio. Particularly expensive are those tracking the S&P 500. Vanguard Total Stock Market is one of the best this year. Its expense ratio is 0.04% and the fund manages assets totaling $575 billion. Schwab US Broad Market – it’s a low-cost, exchange-traded fund with an expense ratio of 0.03%. There is a great deal of difference between index funds and other mutual funds. Index funds as already discussed are passively managed – they track a major index. The managers of an index simply replicate the performance of the index without the assistance of analysts or any other people who might research the market for the best options. Therefore, the management expense ratio is lower than funds who are actively managed. It’s hard to beat well-performing indexes, therefore usually index funds outperform other mutual funds. You can include index funds in your retirement accounts, for instance. Recent research for the period 2000 – 2016 revealed that only 5.17% of mutual funds investing in large-cap stocks can beat the respective indexes for three years in a row. S&P Dow Jones Indices Senior analyst Jim Brook commented,”If you have an active manager who beats the index one year, the chance is less than a coin flip that the manager will beat the index again next year”. Overall, index funds are a good start to begin your trading career. They are easy to use and accessible as well as well regulated. They are efficient when it comes to fees and costs and also give you great portfolio diversification. It’s particularly suitable for budding investors who don’t have unlimited resources. Index funds are also a good way to make money so that you can start investing in the underlying assets at a later stage. If Warren Buffet recommends it, then it’s worth trying.